I contracted with S & R Builders in the winter of 2007 to build a home for my wife and I. From the time we broke ground to the completion of the home, we have had nothing but a positive experience with S & R Builders. My husband and I consulted with several builders before selecting S&R Builders. We were very pleased with our decision. We felt that we were dealt with honestly and fairly. Our home was completed on time and at a reasonable price. We were kept informed during the entire process. The builder responded quickly to our questions and concerns. We have recommended S&R builders to others who have expressed an interest in building their own home. 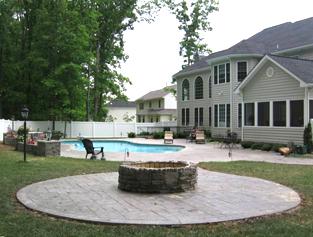 We have had several projects completed by S&R builders and highly recommend them. The most recent was an addition on our detached garage about a year ago along with a 2nd covered patio. The original garage they built for me a few years ago and a 2800 sqft detached garage with a 750 sqft covered patio. Everyone on the job was very professional and nice to talk to. No complaints with anything and budget was in line. My wife and I highly recommend S&R Builders. 3. Any problems or complaints. No Problems or complaints. very professional kept us completely informed during the build. 4. Company within budget. Prices charged did not exceed the agreed quoted prices..
5. Professional attitude, and quality of work performed. Very professional, excellent workmanship. drove by site during the build and crew was always diligently working, and very courteous when we stopped to view progress. 6. Quality of products used In my novice opinion all products were of good quality. No corners were cut. 8. Any other personal or professional issues not listed above. None that i can think of. as stated before my wife and I highly recommend.